We are the leading entity in this domain, highly engaged in manufacturing, trading, importing, exporting and supplying the best quality range of Circuit Breakers. An Earth Leakage circuit breaker called ELCB now referred to as residual current circuit breaker or RCCB is a safety device used in electrical installation with high earth impedance to prevent shock. High Quality circuit breaker Manufacturer and Exporters provides Automatic models as well as manual models ELCB. We provide top of the class elcb at econnomical price . This model is similar to Legrand elcb and comes with a 1 year warranty . 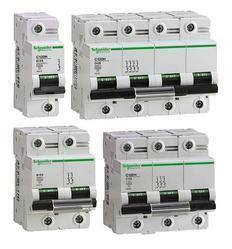 With our expertise in this domain, we are able to offer Schneider Motor Protection Circuit Breakers. 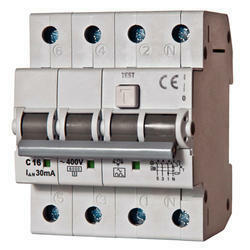 These products have the function of protection, switching and signaling in a single compact unit. Our professionals ensure that only defect-free range is delivered at the customers' end within the promised time. EATON DC MCB -Ready in stock.